The Garda Lake has a special microclimate, capable of supporting the most inventive botanical dreams: olive trees, magnolias, agaves, palms and even citrus fruits, making the North coast of Salò, at 46 degrees of latitude, the northernmost citrus growing area of the world. The lemons are exported all over Europe, while the Garda citrons are appreciated mostly by the local chemists for their refreshing and digestive properties. In fact, when aristocrat Nicola Tassoni acquires the old Salò pharmacy, he finds a distillery where the hydro-alcoholic citron extract is prepared. It is nevertheless his business partner Paolo Amadei, the current owner’s great-grandfather, who acquires the pharmacy in 1884 in order to initiate the new company Cedral Tassoni, by separating it from the distillery and concentrating all efforts on the citrus’ virtues. In 1921, his son Carlo launches the Cedrata Tassoni Syrup, a refreshing syrup to be diluted in water and the forefather of a genre: the Cedrata soon becomes a drink to share on the beach to quench the heat, or after a long hiking in the mountains, as illustrated by the coeval advertising posters. People like so much the taste of the Cedrata that the company tries to replicate the success at the cafés and launches the Tassoni soda, a ready-to-go Cedrata in its ideal dose. 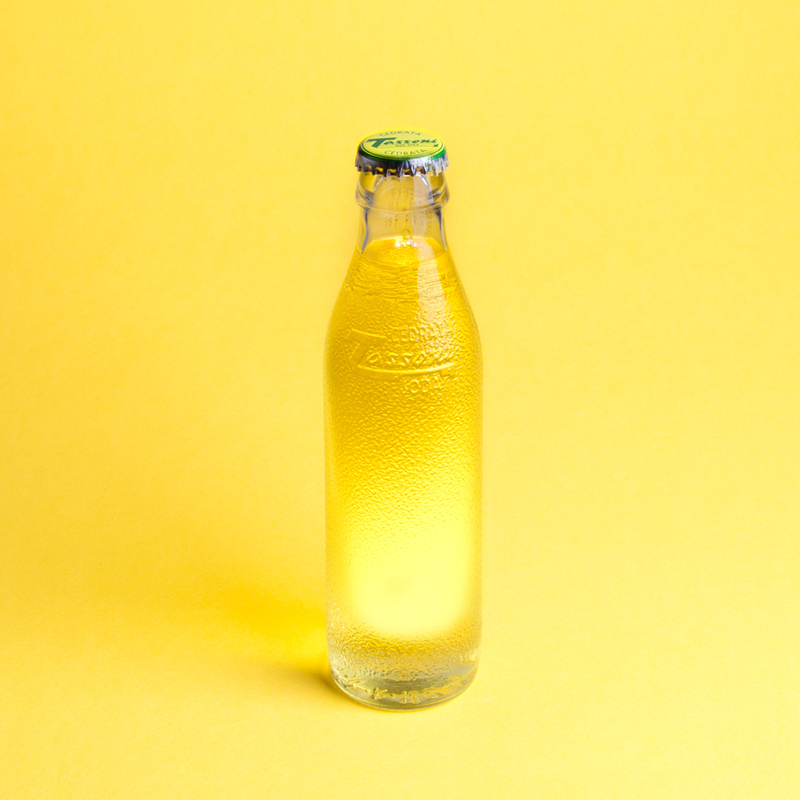 With its golden-yellow color and the typical roughness of the glass bottle (which reminds that of the citron peel), Tassoni Soda soon becomes a passepartout drink: perfect when it's too late for a coffee or too early for an alcoholic aperitif. The company has been broadcasting it every summer since 1982, making it one of Italy's oldest TV commercials and a cult for fans. Just like the drink it represents.